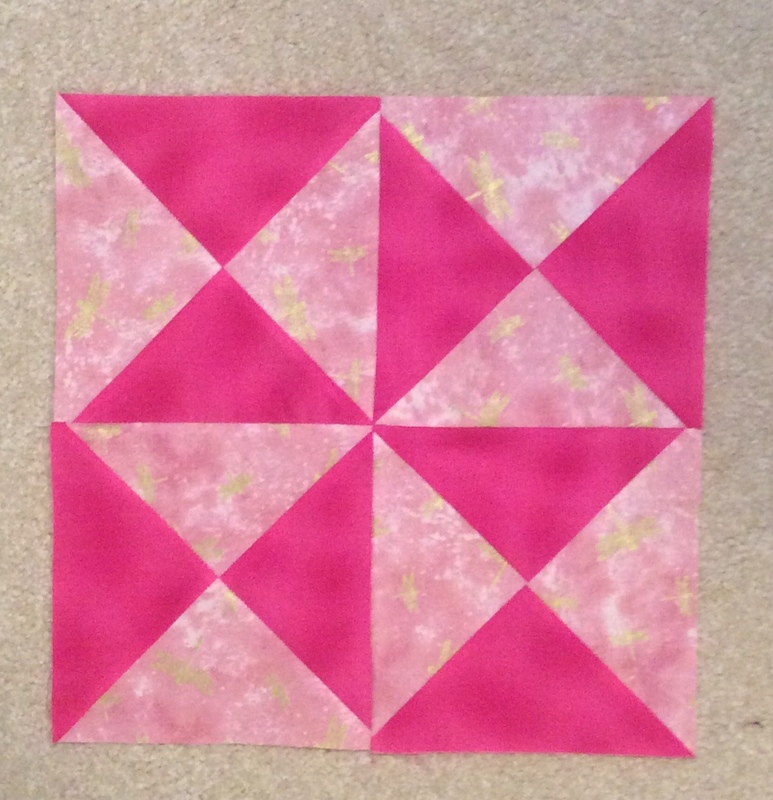 Last year Jen of Patterns by Jen (here) offered a monthly colour challenge. Each month had a designated colour and by visiting her blog you were given freely a 12" block and a 6" block designed for that month and colour. The plan has changed a little for this year. Only a 12" block is being offered monthly and instead of a repeating group of 6 or 7 bloggers she has opened up the blogging to a wide variety of bloggers. She has also identified a flower that represents the colour for the month. This month's flower is Carnation. I was doing well last year until I got sick and am hoping I am well enough now to start catching up. 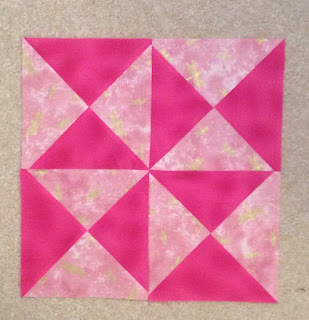 but first I will show you my February 2019 PINK block. Make certain to stop by the other designated bloggers for this month to see how they put together a pink carnation. Love your light fabric. The tease of yellow makes the block sparlke. Looks great. I'll have to look for fabric tomorrow.